One way to remain positive is to train your brain to look for beauty. 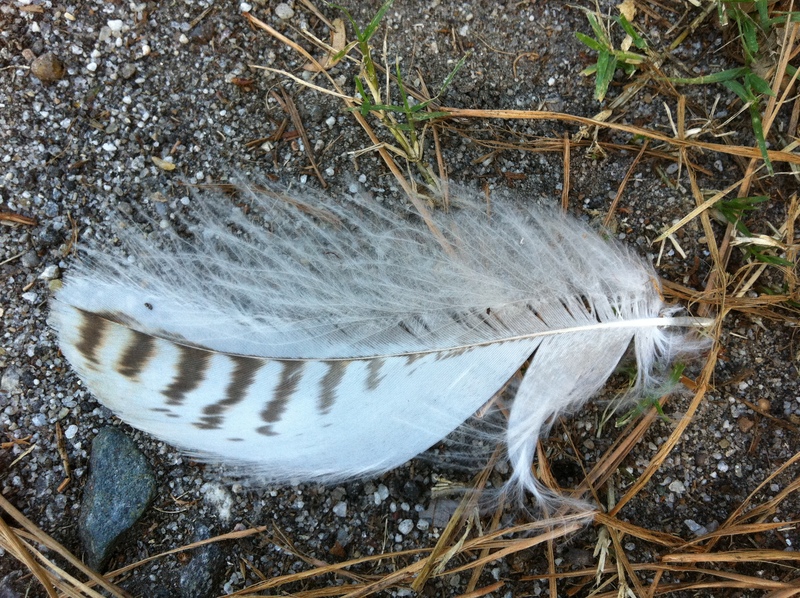 This is a feather I saw in the street on my walk this afternoon. Even the pebble and the grass around the feather look perfectly arranged once you examine the whole scene. Often the most ordinary things can be extraordinarily beautiful if you take the moment to slow down and really really look at them. When we begin to look at the beauty in the world around us, we feel that same beauty reflected inside ourselves, and we feel uplifted.